It is important to know if a change in a score on a ReQoL measure is clinically reliable and also how such a change in the score compares with those found in the general population or other clinical populations. This brief guide is based on ReQoL data available to date and may be subject to refinements as new data becomes available. This information below is designed to help you interpret ReQoL-10 scores and to understand if a score is clinically meaningful. Reliable change measures how likely it is that an observed change in scores is due to real change and not a result of measurement error. The minimum important different (MID) is the smallest change in a score that is considered clinically or practically important. Both these methods yield the same value, namely 5 points. • An increase of 5 points or more on the ReQoL-10 denotes reliable improvement. • A change of less than 5 is not reliable. • A decrease in score of 5 points or more denotes reliable deterioration. Our research has shown that a score of 24 or lower is within the clinical range and 25 and over is the non-clinical range. • A ReQoL-10 score between 0 and 24 is considered as falling within the clinical range. • A score of 25 and above is considered as falling within the range of the general population. This brief guide is based on ReQoL data available to date and may be subject to refinements as new data becomes available. This information below is designed to help you interpret ReQoL-20 scores and to understand if a score is clinically meaningful. Reliable change measures how likely it is that an observed change in scores is due to real change and not a result of measurement error. The minimum important different (MID) is the smallest change in a score that is considered clinically or practically important. 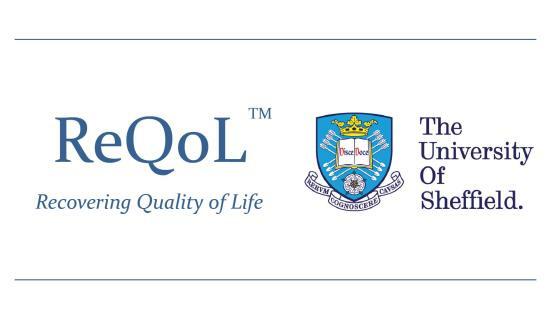 • An increase of 10 points or more on the ReQoL-20 denotes reliable improvement. • A change of less than 10 is not reliable. • A decrease of 10 points or more denotes reliable deterioration. Our research has shown that a score of 49 or lower is within the clinical range and 50 and over is the non-clinical range. • A ReQoL-20 score between 0 and 49 is considered as falling within the clinical range. • A score of 50 and above is considered as falling within the range of the general population.